Product prices and availability are accurate as of 2019-04-16 08:43:46 UTC and are subject to change. Any price and availability information displayed on http://www.amazon.com/ at the time of purchase will apply to the purchase of this product. 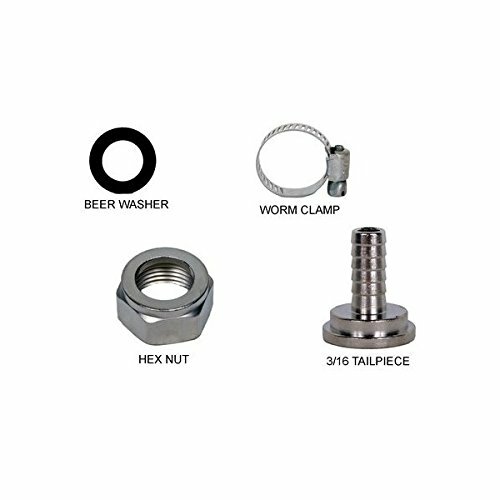 Kegconnection offers this kit that will allow for 3/16" beer line installation on a standard Shank, kit includes: Tailpiece, Washer, Shank Nut and Stainless Worm clamp. 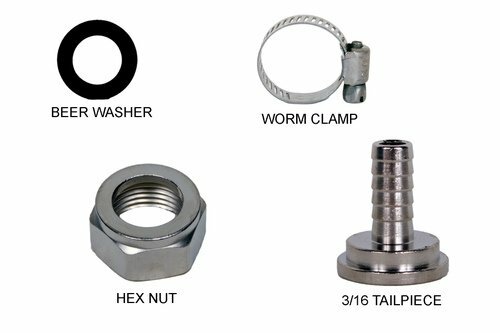 We also offer this kit with an upgrade to a stainless steel tailpiece. This would normally be used with a stainless steel shank and would not be necessary with a standard shank. Shipping rate is for the Continental US ONLY.